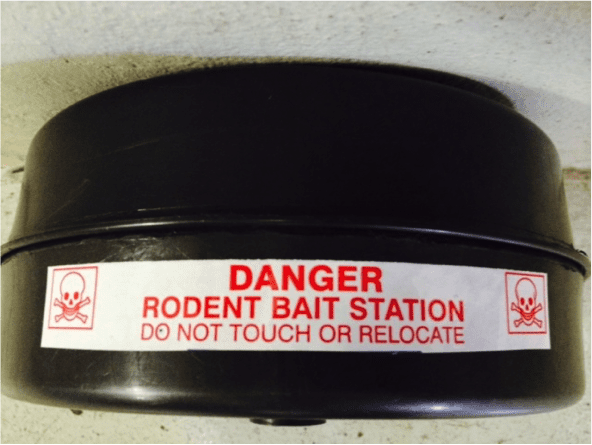 What is a tamper-resistant rodent bait station? When it comes to commercial, retail and even residential external rodent treatment measures, its imperative that safety is taken into consideration which is why we make use of tamper resistant rodent bait stations. 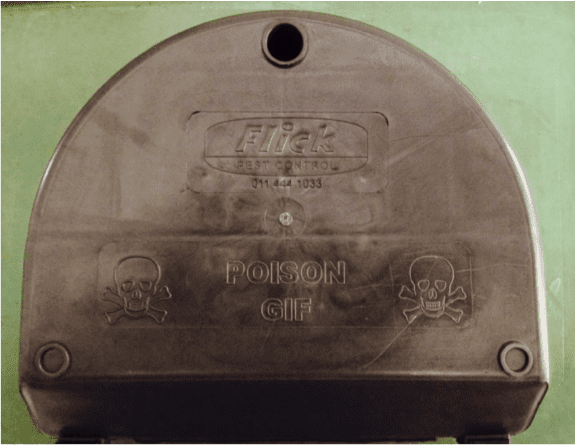 A tamper-resistant bait station or commonly called a tamper proof rodent bait station, in essence, is a lockable, sturdy plastic or metal based box that is designed to allow rodents (rats or mice) to enter the device to feed on the rodenticide within it or in certain situations a specialized mechanical trap is used within certain stations when non-toxic methods of control or monitoring is required. The tamper resistant bait stations function in a way that they contain and protect the rodent wax blocks or mechanical trap while allowing rodents to enter. The station needs to meet various criteria that prevent tampering or entry by non-target animals and humans, such as children and pets. If your rodent bait station placement is outdoors, or if it could be accessed by children or animals indoors, toxic bait blocks must be placed in a tamper-resistant bait station. A cardboard type bait box will not suffice. Tamper-resistant bait stations are designed in such a way that they have baffles, compartments, or tunnels that walls off the bait blocks within the station so that it can’t be reached or shaken out and this further protects it from moisture. The bait blocks (whether non-toxic or toxic type are used) are fitted onto special spindles and are attached within the tamper resistant bait station. Cable-tied to a fence, beam, wall, pipe, or other support. How do Rodent Bait Stations work? Tamper-resistant bait stations have a locking lid that opens up to reveal the internal compartments and contain vertical or horizontal spindles or rods which the rodenticide wax block is placed on. Multiple blocks can be threaded onto these spindles which prevent the blocks from being carried off and keeps it drier and cleaner since it is higher up and off the floor of the bait station. Some bait stations even have a tray compartment for meal, pellet, or liquid baits for certain rodent treatment programmes. Some stations have an internal section designed to house a snap trap or glue board within it. Tamper-resistant rodent bait stations come in various sizes and shapes, but all must meet the safety criteria mentioned earlier. We have various stations that we make use of. Our most frequently used station is below and can be used in domestic, commercial or retail environments for bait block purposes. Other stations used such as low-profile stations are designed to be more easily usable to go under pallets, appliances, and into other tight spaces. Some stations have triangularly shaped corners to also fit into corners, others are disguised to look like rocks for placement in sensitive sites in public places. The large rat bait stations can accommodate up to six rats within them and can hold 450g of bait for instances of high infestation, or 475ml of liquid bait, and a single large mechanical rat trap. Mouse bait stations are available, but are smaller in design and can be used within office environments, homes, hospitals and situations that cannot accommodate a cardboard type conventional rodent box some stations can be used for either mice or rats. Why the need in using tamper resistant rodent bait stations. The main reason that we use tamper-resistant bait stations is for safety. This is to ensure children and non-target animals from gaining access to the toxic bait. Bait stations protect the bait blocks from the elements including the sun, keeping it free of moisture and dirt or dust between regular service intervals. No Toxic methods of rodent monitoring can be deployed to monitor rodent activity with non-toxic blocks with tamper resistant stations. Bait stations prevent accidental spillage and product contamination when used in food facilities. Bait stations entice rodents, especially mice, to enter the dark, enclosed space where they feel protected. The toxic or non-toxic blocks further attract the rodents to enter the stations as rodents have a strong sense of smell. If you think you might have a Rat infestation and you don’t know what to do next please give the experts at Flick Pest Control a call to help resolve your Rodent problems.